Aloha! Discover why Hawaii is a perennial favorite school trip destination. The islands of Hawaii are home to incredible scenic beauty, warm ocean water, sandy beaches and innumerable hiking trails. Your students can visit the historic landmarks of Hawaii and learn about the rich culture of the islands. And don’t forget to take them to an authentic luau where they can taste traditional Hawaiian cuisine and watch the art of hula dancing. It won’t be easy choosing which island to visit on your school group trip to Hawaii, but you’ll find there are no wrong answers. 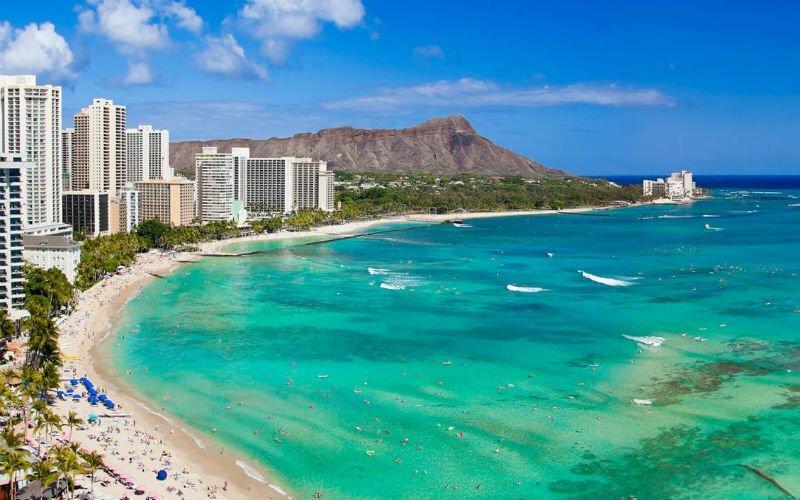 On Oahu, your students can to sunbathe on the world famous Waikiki Beach, hike Diamond Head crater, visit the Arizona Memorial in Pearl Harbor or check out the surf breaks of the notorious North Shore. Maui offers crystal clear waters for snorkeling, similarly gorgeous beaches, Mount Haleakala and the long and windy road to Hana. Kauai is more laid back and less populated, but the scenery is equally dazzling. Your students will be in awe of Waimea Canyon, the "Grand Canyon of the Pacific." The Big Island features the primal energy of Hawaii Volcanoes National Park and a vast expanse of varied terrain to explore.